The University of Technology in Sydney recently unveiled a new type of graphene nano paper that is ten times stronger than a sheet of steel. Composed of processed and pressed graphite, the material is as thin as a sheet of paper yet incredible durable — this strength and thinness gives it remarkable applications in many industries, and it is completely recyclable to boot. 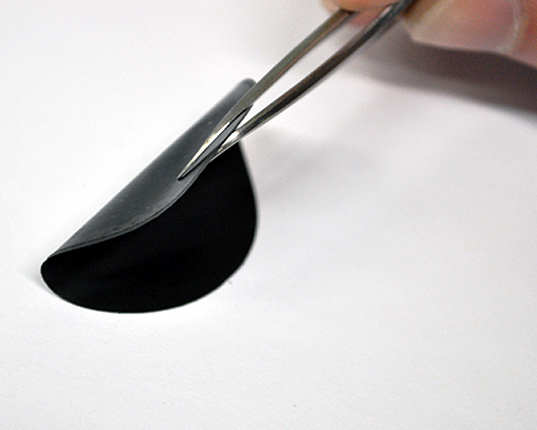 To make graphene paper, raw graphite is milled and purified using a chemical bath, which reshapes its structure, allowing it to be pressed into thin sheets. These graphene sheets boast excellent thermal, electrical and mechanical properties – including excellent hardness and flexibility. Graphene offers many advantages over steel – it’s two times as hard, six times lighter and ten times higher in tensile strength. This translates into a next-gen material that could immensely benefit the automotive and aviation industries. Lighter planes and cars use less fuel and create less pollution. Companies such as Boeing have already begun using carbon-based materials, so graphene paper would be the next logical step. 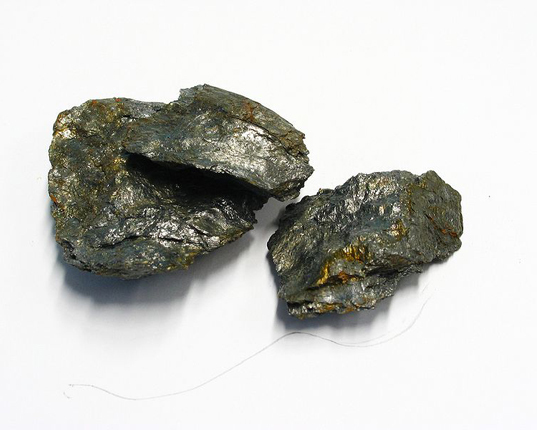 Raw graphite is a relatively plentiful material in Australia, where the research is being conducted. The researchers welcome the industry boost that increased demand for raw graphite for graphene paper would provide. If it's stronger than steel? Why is it so floppy ? i saw graphene made on youtube and it looked really floppy.i suppose it stretches a lot also.So it's not exactly like steel. How much lighter is graphene paper compared to the best Japanese model airplane tissue paper? There are hundreds of different grades of steel, the strongest grades of steel are actually carbon based. For example, grade 100 steel which is carbon based and same grade used to make crane booms is some of the toughest steel there is and is 100x stronger then CQ steel. I think in order to accurately make the statement graphine is 10x stronger then steel we would need to know the specs for the grade of steel used as well as the yield in the graphene. Do you have this information? On a Make Magazine site off KeelyNet2011.com I was looking at DIY radiation counters Gieger etc.I think this maybe useful in detecting radiation where at the THINKGEEK INC. website are infrared cameras for sale.There maybe some in Australia too.One DIY has a system of using a compact camera that doesn't allow any light in.A ready and reliable method maybe using infra red and these graphite sheets as infrared is night vision related.It maybe useful in Japan right now for that which requires getting close to the radiation effects.Also there are glass marbles on another DIY site making your own detectors that has radiative materials inside.If at all possible a sheet of this around something radioactive inside a marble could be interesting to Lucas Heights Sydney.I am losing the plot.Been on the computer too long today.Present email address is inoperable.Not interested in updates. "Companies such as Boeing have already begun using carbon-based materials, so graphene paper would be the next logical step." You (the author) are in a position of reporting information that people sometimes take as fact. Boeing using composites in their planes does not mean graphene is "the next logical step". Materials engineering is obviously more complex than that. @beezly: I don't think so. There are already many fibres that are much stronger than steel. Even human hair. Steel has a tensile stength of 510 N/mm2, the calssic carbon fibre already has 3500-4500 N/mm2. From what I know carbon nanotubes are still the best we can get, they have 30000-63000 N/mm2 wich is already about 100x the tensile strenght of steel. Carbon nanotubes are nearly good to build a space elevator, the thickness of the rope would be about 11 meters at the thickest point. Problem: it's still not possible to produce nanotubes longer than a few mm -.- . Graphene is used for other tasks, not primariliy to top the strongest materials. At least as far as I know. If this new graphene paper has 10x the tensile strength of steel, does that approach the strength necessary to build a space elevator? The University of Technology in Sydney recently unveiled a new type of graphene nano paper that is ten times stronger than a sheet of steel. Composed of processed and pressed graphite, the material is as thin as a sheet of paper yet incredible durable -- this strength and thinness gives it remarkable applications in many industries, and it is completely recyclable to boot.